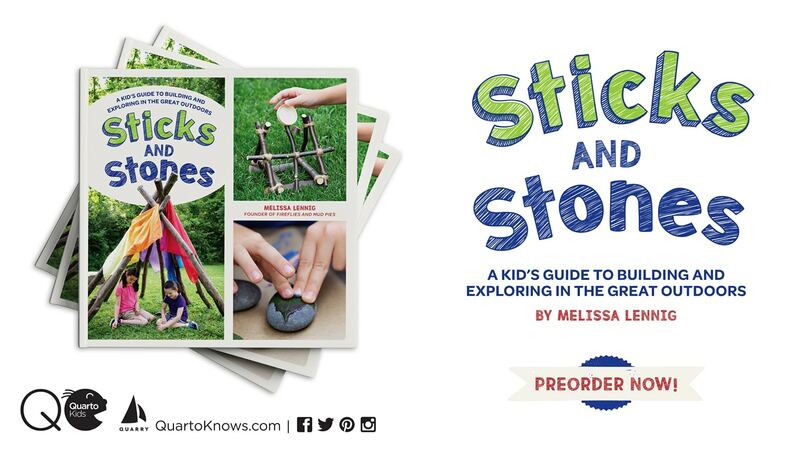 By Melissa Lennig on June 24, 2016 Leave a Comment. This content contains affiliate links. As an Amazon Associate I earn from qualifying purchases. When I was a senior in high school, my boyfriend’s mother shared that her secret to starting the day with a positive, gracious attitude was waking up before her family and enjoying her coffee and daily devotional outdoors on her front porch. She said nothing made her feel more at peace than listening to the birds, enjoying her flowers, and watching the world wake up. Almost 20 years later, now a busy mom myself, I’ve been struggling with carving out time to recharge. Today while making myself a simple iced coffee, I remembered her secret. Still dressed in pajamas, I took my drink outside and settled myself in a rocking chair with my gratitude journal and a pen. I sipped coffee, listened to the birds, wrote, enjoyed the warmth of early morning sun on my face, and forced myself to take deep, long breaths of fresh morning air. The birds flew away, the sun slipped behind a cloud, and my children were running around the yard like hooligans, but at least I still had my coffee! 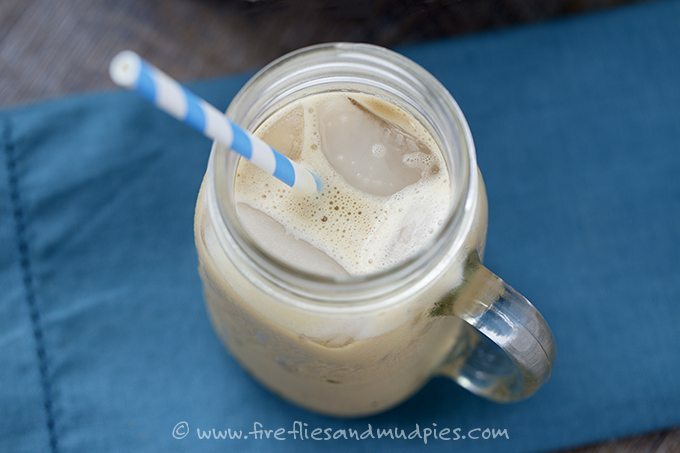 Delicious, creamy iced coffee. 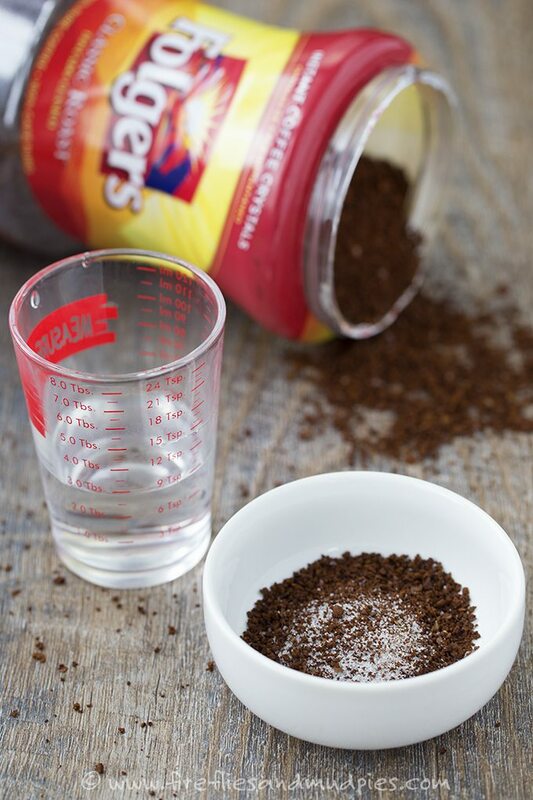 Instant coffee, like Folgers instant coffee, makes this favorite drink super easy to prepare! 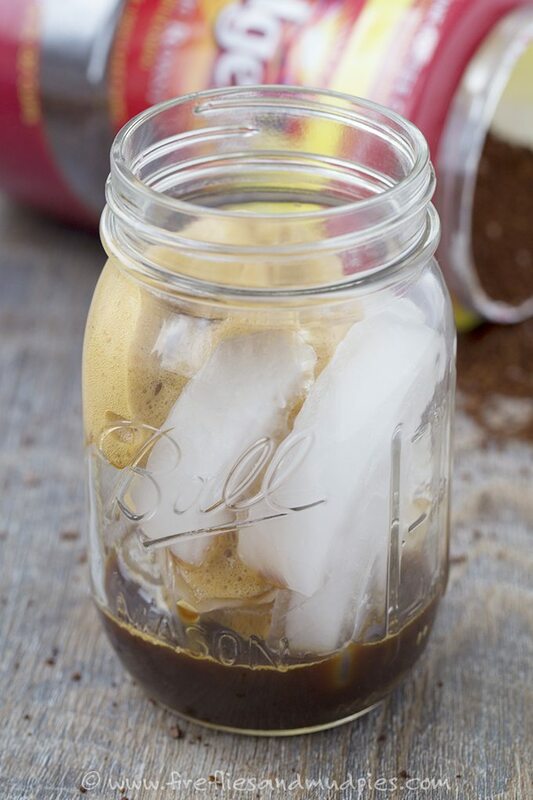 Simply mix 2 tsp of instant coffee granules with 1 tsp of sugar in a small mason jar. 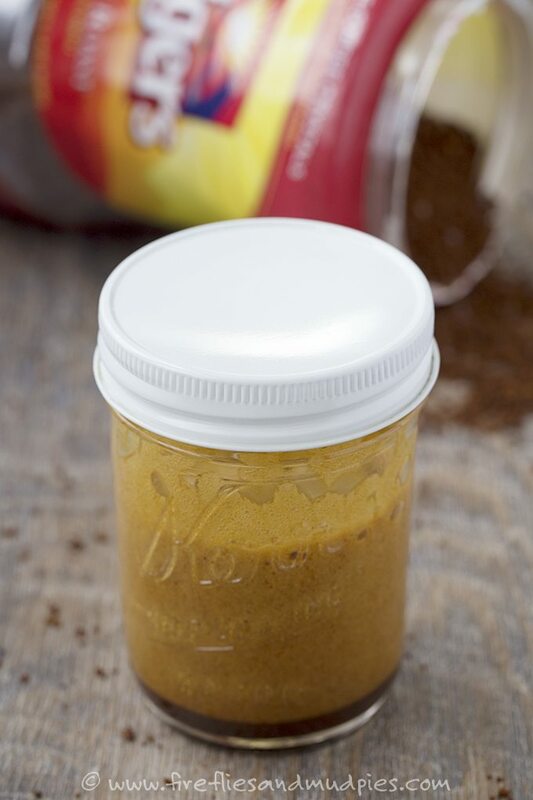 Pour in 3 tbsp of warm water, put the lid on the jar and shake until the mixture is frothy and the coffee granules and sugar are dissolved. Sometimes if I’m in the mood for an iced mocha, I’ll add a small squirt of chocolate syrup. 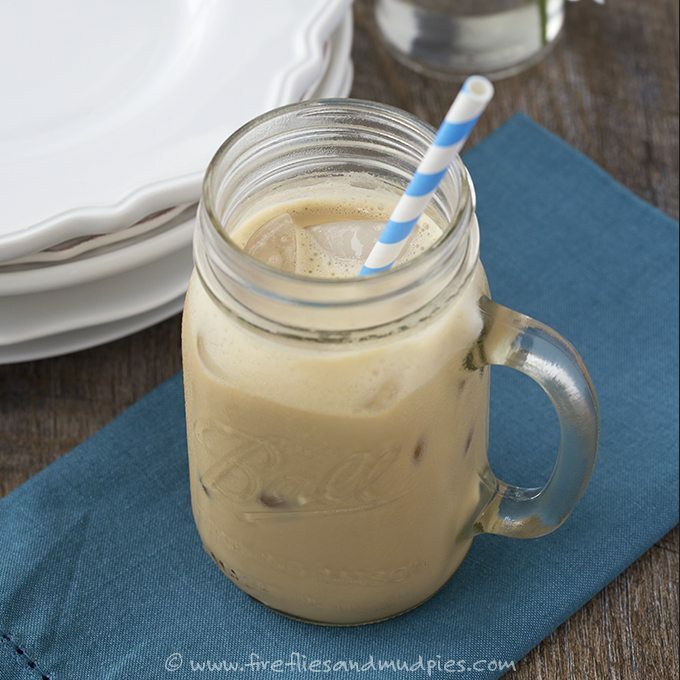 Pour the bubbly coffee mixture over ice, then top off the glass with milk. Stir with a straw and enjoy! Bonus points if you find 10 minutes to drink your coffee alone, but if not, simply find wonder and feel gratitude in where you are. After all, these are the good old days. 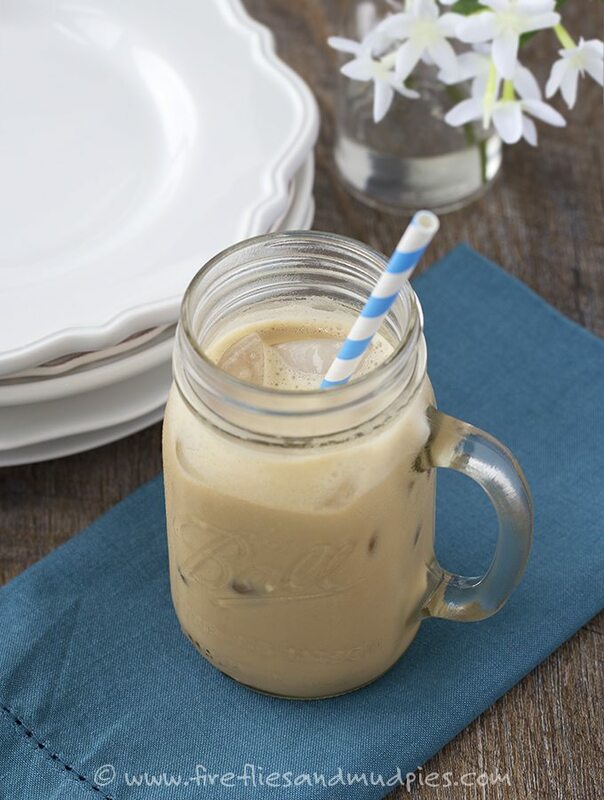 See more Folgers Recipes here!